The software was rewritten from scratch, and now runs on both Windows and Mac. In addition, a number of functions have been implemented on the pulse program compiler, array manager, acquisition setup, etc. NMR data can be displayed simultaneously on as many separate plotters as you wish, with various viewing options. 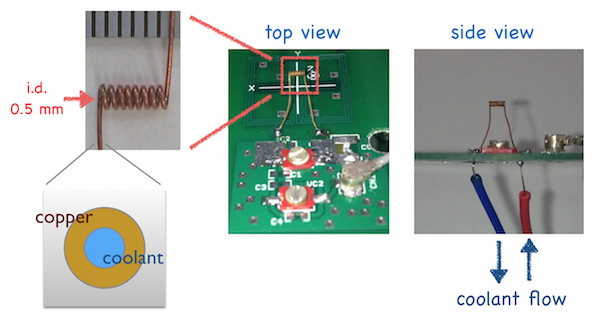 The circuit boards of the previous version can be used as they are. For the FPGA part, you need to rewrite the core module of the latest version. 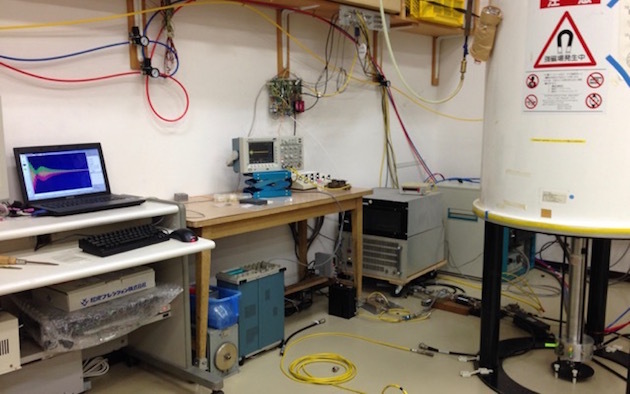 This is one of our Opencore NMR systems used for a 7 T superconducting magnet. The spectrometer hung on the wall has three rf channels. I will try my best to add information there. 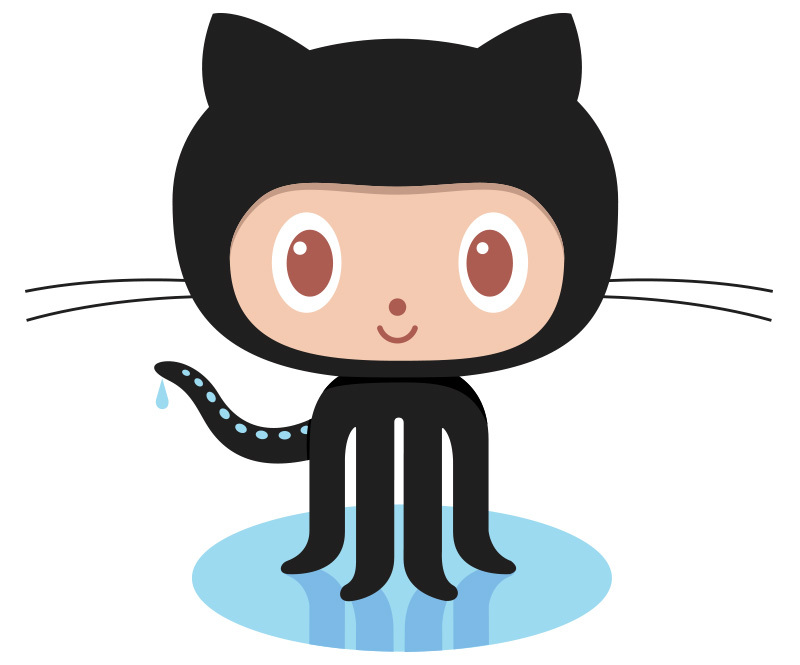 I also plan to move the download site to github. A preliminary data process software released. A new version (2.0.0-build201) released. New version of software and core module uploaded. Software and core module uploaded. 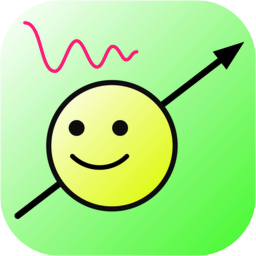 This is going to be a major version up of the Opencore NMR project. I plan to release resources in April 2016. Please note that pulse programs used for the previous version cannot be used in the current version. Go to page of the previous version. To suggest the possibility of the Opencore NMR spectrometer, its applications for highly customized, often exotic purposes are demonstrated. In this work the name "Opencore NMR" was given, in the spirit of opening the developed FPGA core-moudules to public, so that anyone who are interested in the project can use them, together with board design, software, etc. 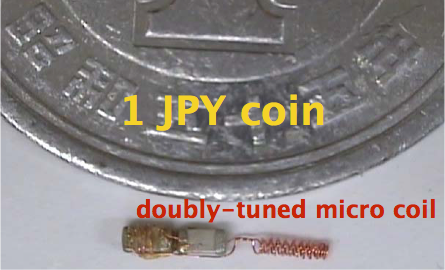 In addition, a number of the conventional solid-state experiments were demonstrated, including 1H-13C-15N triple resonance, multiple-pulse decoupling, two-dimensional experiments, and so on. 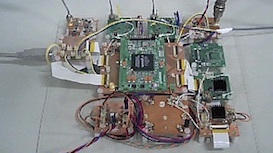 This was the very first publication on the topic, in which the concept of integrating all digital function in a single FPGA chip was put forth, together with demonstration of the feasibility of the FPGA-based NMR spectrometer. 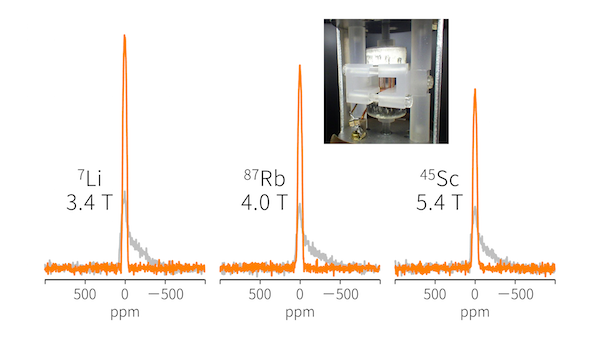 The first demonstration of NMR-signal up-conversion from rf to light. 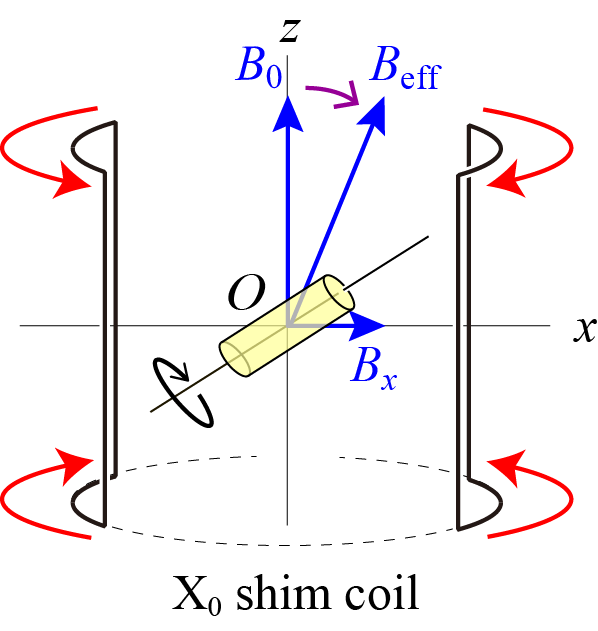 Precise adjustment of the magic angle is demonstrated by tilting the static field using what we call X0 (x-zero) shimming. 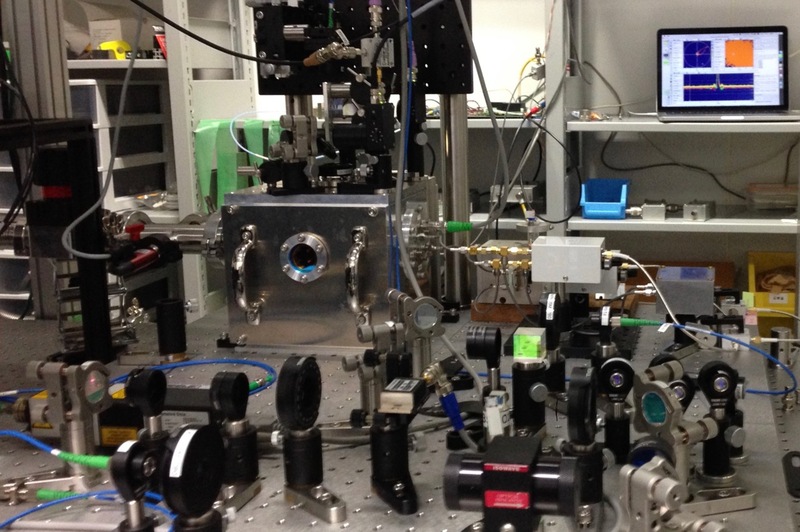 COMPOZER-based longitudinal cross-polarization via dipolar coupling under MAS. Lithium metal deposition during overcharge was observed. Relaxation in practical lithium ion batteries was studied. 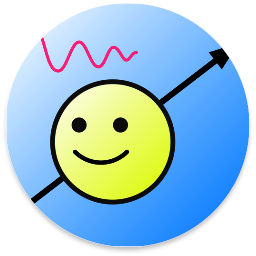 We studied the effect of proton decoupling under double nutation irradiation. Application to MRI was successful, with some elaborate customization of the hardware. 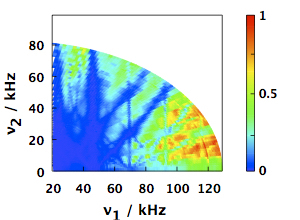 We studied QUantitative Cross-Polarization (QU-CP) under moderate MAS speed (23 kHz), re-examining the CP polarization transfer from 1H to 13C and the thermal equalization of the 13C magnetizations. 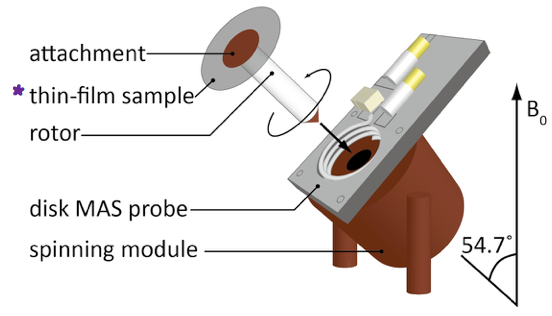 This paper proposes nondestructive high-resolution solid-state NMR of rotating thin films at the magic-angle, realized by spinning a disk-shaped attachment on top of the conventional rotor. A work on noise reduction by dynamic signal preemphasis. "APRICOT" stands for APodization after Receiver-gain InCrement during Ongoing sequence with Time.